A gay bullied high school student gets support. 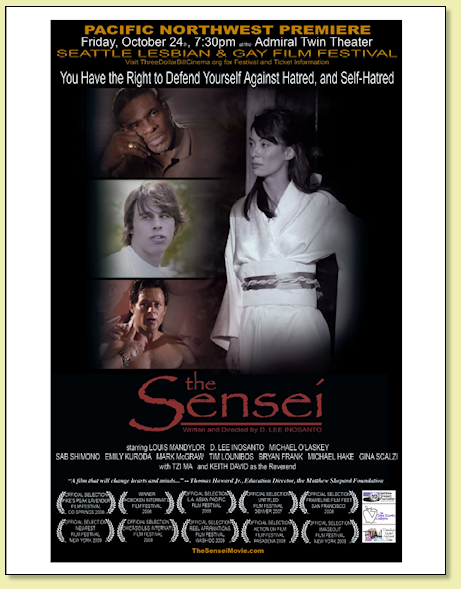 A film by D. Lee Inosanto. on October 24, 2008 at 7:30 p.m.
See more information about the screening in Seattle here. if you are a Seattle Lesbian & Gay Film Festival member. You can join & buy tickets here. through Brown Paper Tickets here. to print and share to help us get the word out. Thanks!